A popular spot among tourists nested on the tip of Mexico’s beautiful east coast, Cancun features sunny beaches and luxurious resorts alongside historical Mayan ruins and a myriad of exotic, colourful creatures. 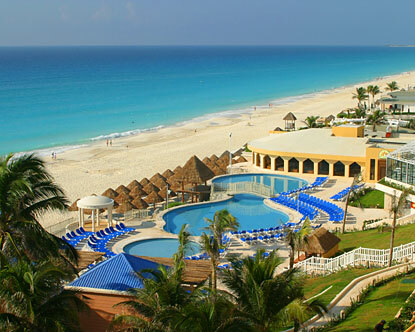 Cancun’s tourist resorts are especially renowned for their comfort and customer service. Enjoy the warm weather with a cold drink as the welcoming resort staff caters to your every whim. For tourists seeking a relaxing getaway, Cancun is the ultimate destination. 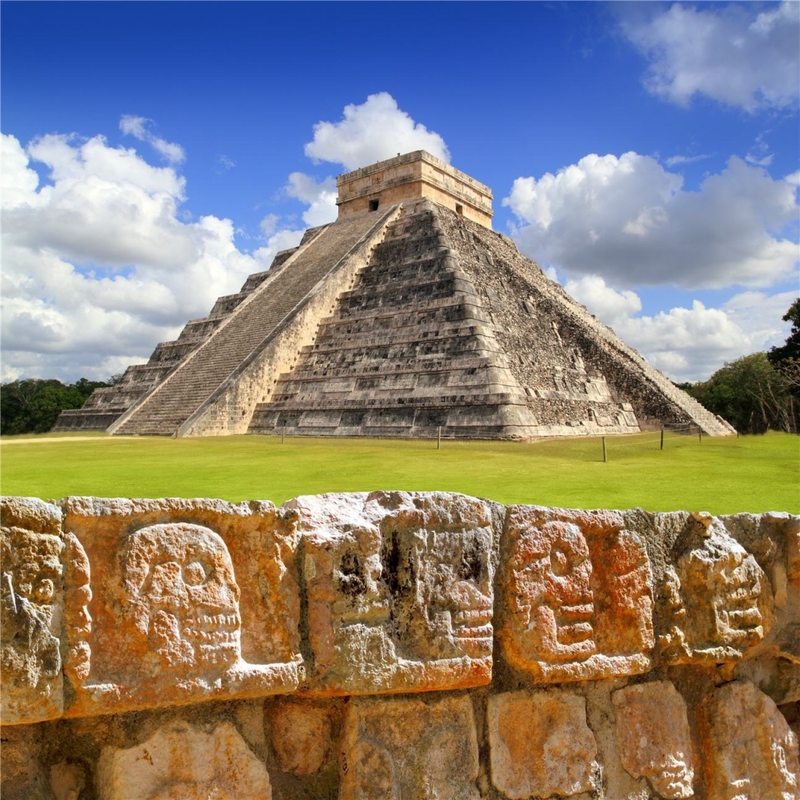 However, those seeking an adventure could spend a lifetime exploring the remnants of the Mayan civilization that are spread throughout the area, some of which have been partially preserved and restored for the benefit of visitors. But no matter how one chooses to spend their time in Cancun, they’re sure to experience the gorgeous scenery and sunshine. Dive in a cenote (sink hole) – there’s nothing like it! Secrets The Vine Cancun will debut as the first Secrets Resort & Spa in Cancun. This adults-only resort is situated along a powder-white beach with crystal-clear views of the Caribbean Sea. Offering an adults-only Unlimited-Luxury® experience with gourmet dining options, daily activities, nightly performances, elite services and superior amenities; Secrets The Vine features a massive Secrets Spa by Pevonia inspired by cave-like structures and the natural cenotes of the area. All of this and more is within reach and only 10 minutes from Cancun’s International Airport. Each of the Secrets The Vine’s 495 guest rooms provide a private and romantic retreat of beauty and splendor with deluxe appointments including Italian porcelain floors, the finest luxury linens and much more. The signature element of Secrets The Vine Cancun is the extensive selection of fine wines stored in an on-site Wine Cellar or “Enoteca” which provides wine tasting and pairings for the most exquisite of tastes. Cancun, on the Yucatan peninsula, is one of the most famous tourist destinations in the whole world. Its incomparable beaches, with white, powdery sand and totally transparent waters, are its main attraction. But also, nearby, there are fragile natural spaces and spectacular Mayan ruins. At night, there is no lack of entertainment opportunities, making Cancun an incomparable destination. Welcome to one of the newest, most exotic and luxurious resort in Cancun! The Villa Del Palmar Cancun, where Mexican hospitality meets classic Caribbean relaxation. We invite you to visit. . . but your senses will beg you to stay. Villa del Palmar Cancun, Where Paradise is the Routine. Villa del Palmar Cancun is an ocean front resort featuring Mexican and International Cuisine at La Casona and Zama Restaurants; it also features an al fresco lounge bar, the Palmita Market, a Tiki Beach bar with swings and a poolside bar. Wired high-speed Internet access is available. Villa del Palmar features 2 outdoor swimming pools, 4 outdoor jetted tubs and a fitness room. Business services and currency exchange can be provided. Onsite parking is complimentary.